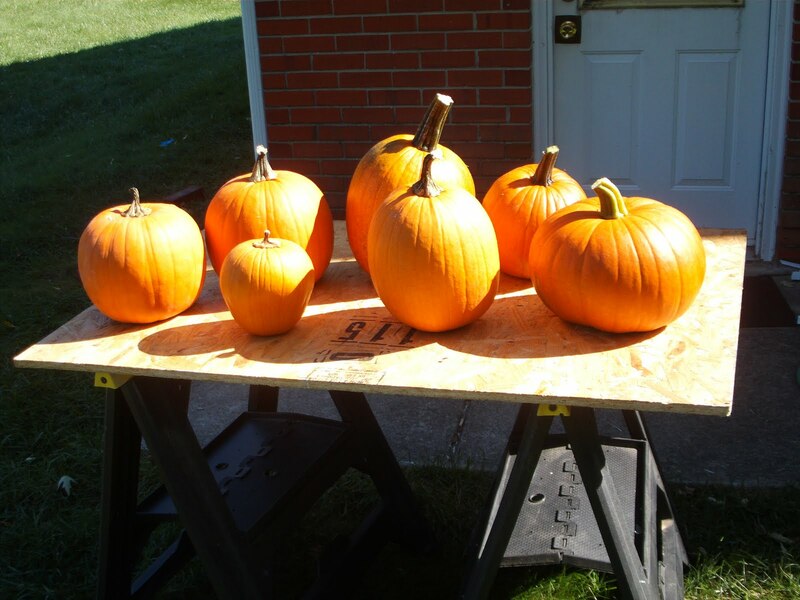 Happy Pumpkin Weekend to all! 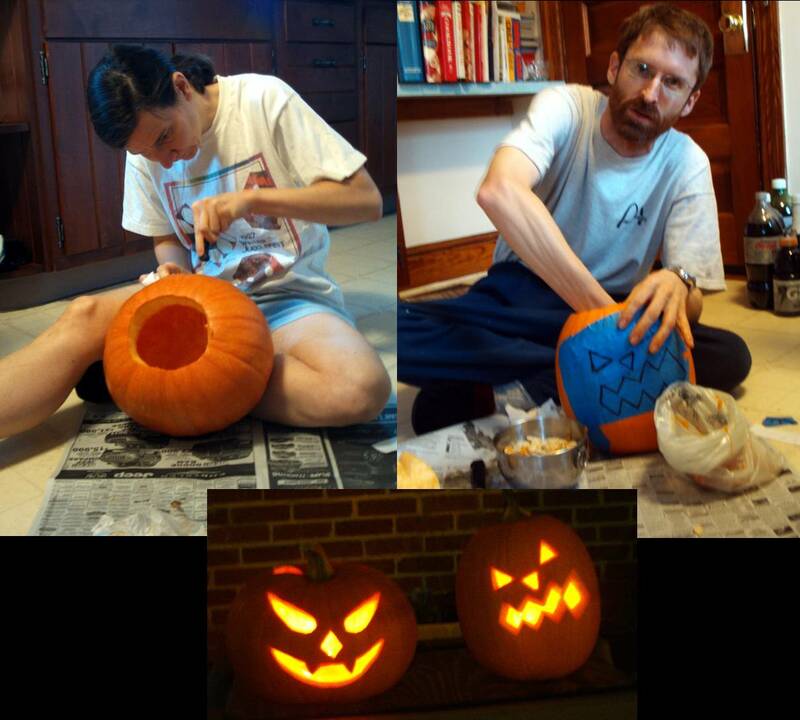 Then, we set out to carve our two favorites for the Halloween celebration. You know, it actually was more fun knowing that we grew these ourselves! Thanks to Nicolas’ foresight of our Pumpkin Weekend, we were ready to make dinner with the pumpkin puree he’d prepared yesterday. 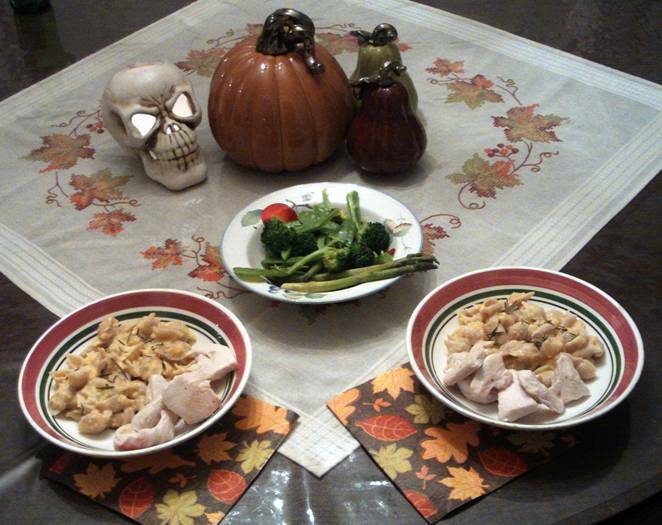 Dinner was courtesy of Martha Stewart: Penne with Creamy Pumpkin Sauce from Everyday Food magazine (we added chicken). Note that the accompanying vegetables also came from our garden (and yes, we did find one cabbage-worm stowaway in the broccoli), as did the rosemary garnish on the pasta. 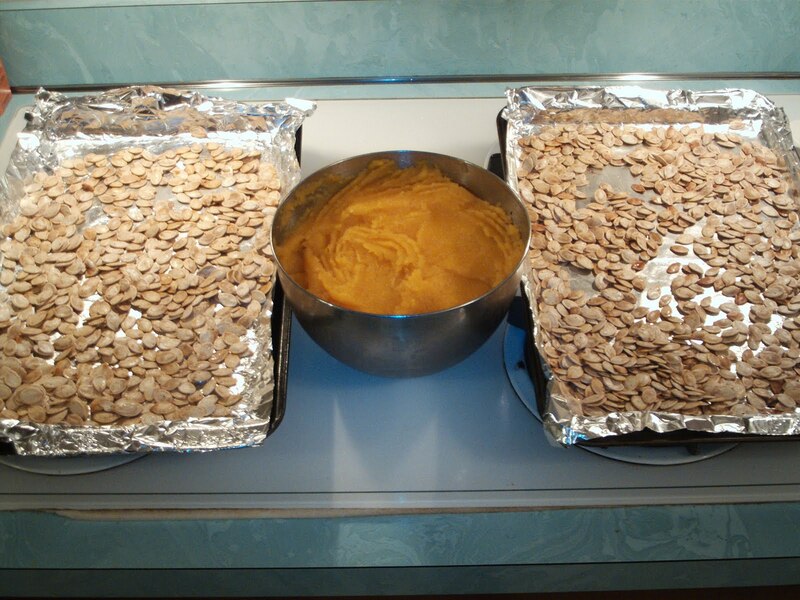 To cap off Day 1 of our Pumpkin Weekend, we toasted the seeds from the pumpkins we carved earlier this afternoon. (Of course saving some for growing next year!) Just a little oil, butter, and spices such as nutmeg and cinnamon in the oven at 250 degrees for about an hour is all it takes. 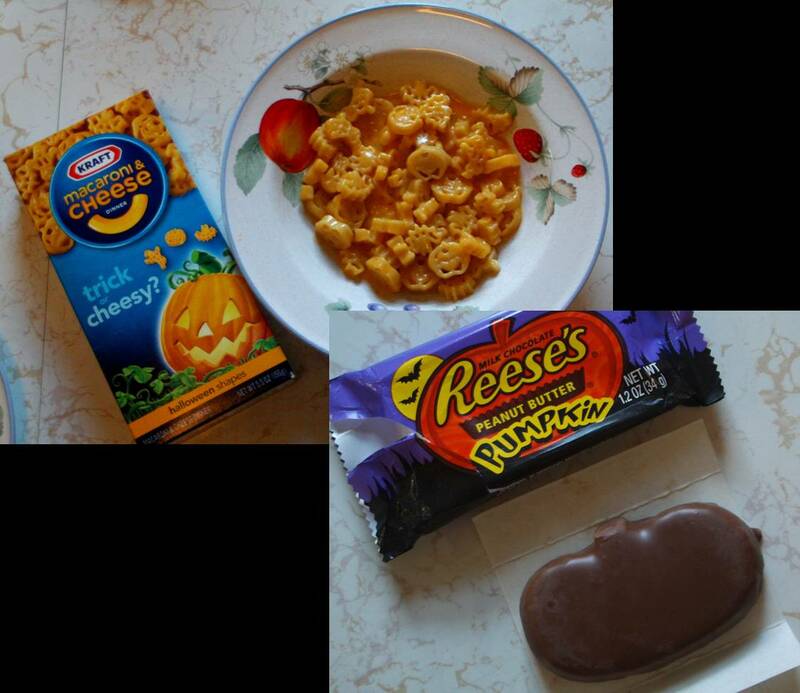 Indeed, I’ve been munching on them as I write this post. And that’s Day 1 of our Pumpkin Weekend! Stay tuned tomorrow for Day 2, which brings us pumpkin muffins, pumpkin pancakes, and more!! !